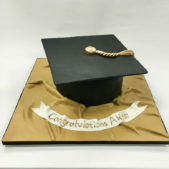 Novelty cakes are a fun addition to any celebration or event. Our novelty cakes are made from the freshest of ingredients and we can create bespoke designs to suit any ideas or suggestions. Add a slice of fun to your celebration with a novelty cake created with the freshest ingredients especially for you by Cakes by Robin. 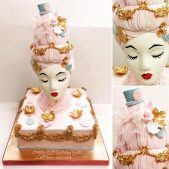 We specialise in truly unique novelty cakes that make for an ideal centrepiece for your special event. The only limit is your imagination! 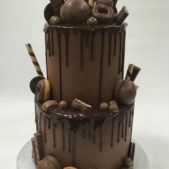 Feel free to browse our cakes for inspiration and let us know your ideas. 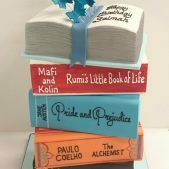 We will work with you to suggest ideas and themes of relevance based on your information so that you have the ultimate tasty novelty cake. Choose from our wonky cakes range or our novelty cakes ranges covering all types of events and celebrations from birthdays to weddings, to corporate events and more. 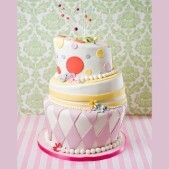 Adults and children alike will love a novelty birthday cake on their special day. Whether they have a favourite toy or hobby, we can design and create a cake based around your ideas. Take a look at our novelty birthday cakes for ideas. Let a Cakes by Robin novelty wedding cake be pride of place on your top table. 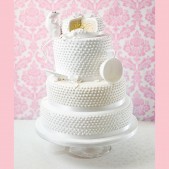 We have designed many unique wedding cakes for the modern couple looking to add a personal touch to their big day. 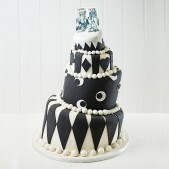 Look at our novelty wedding cakes for inspiration. Our novelty corporate cakes will provide a tasty representation of your company. Using your logo, colours or associated theme, we can create fun corporate cakes that will amaze everyone. Take a look at our recent novelty corporate cakes for ideas of what we can do for you. Would your daughter love an edible Peppa Pig cake to celebrate her latest achievement? Perhaps your teenage son would like a Ferrari shaped cake to celebrate passing his driving test? No matter what the occasion, everyone will delight in our creations. 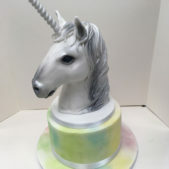 Check out our kids novelty cakes to see what we’ve designed recently. If you’re still wanting additional inspiration, feel free to visit us in Wimbledon where you can see our latest cake creations on display and also get to sample the wares! All Cakes by Robin cakes are made with the freshest ingredients and we can offer delivery in and around parts of London for a small supplement. Ask us about delivery of cakes to your area. To order your novelty cake, get in touch with Cakes by Robin today on 020 8874 4616 or pop in to our shop in Southfields, Wimbledon. A short walk from Southfields tube station (District line).